Spring is almost here! 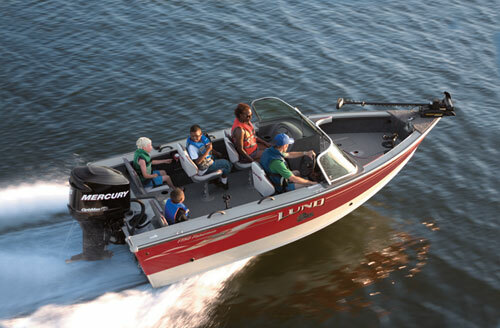 Many Minnesotans are looking forward to the 2013 summer boating and fishing season! You’ve spent all winter dreaming about getting your boat back in the water. Now is a great time to check the condition of your boat before the season is under way. It is a good time to catch small problems before they become major ones. Things have a way of getting run down during those winter months of inactivity. It may seem strange, but winter “time off” can be especially hard on your boat. Extended periods of inactivity actually accelerate wear and tear and can contribute to breakdowns next season. Left unchecked, corrosion will spread (remember, rust never sleeps), moisture can intrude and freeze, lubrication can congeal and neglect can take root over the long, cold months. Put another way, “deferred maintenance” can come back to haunt you come springtime. The last thing you want to face on that first warm spring day on the water is a broken boat and a hefty repair bill. So what’s the best way to make sure you’ve got everything properly squared away for a fun and “uneventful” first launch? How about this handy pre-launch checklist! You may as well get the legal requirements out of the way first. Make sure if you need a license, it’s up to date. Also check your registration and decals. Nothing will ruin a great day on the lake more than having a run-in with the authorities because you forgot to update something simple like your paperwork. So first things first, update all your legal information. Make Sure it Still Runs! Now that the legal requirements are done, it’s time to inspect the hull and all other parts of the boat for damage that may have occurred since the last time you used it. Make sure your engine is running properly, and is in good working condition. Turn the engine on, check the battery, and make sure that it’s charged up. Also, check all the electronics, radios and navigation lights to make sure they are all working. The short time it will take you to do this before you get out on the water will pay off by preventing any problems once you are out there. Next, check out all your boat’s safety equipment, ensuring not only a fun, but safe trip for you and your passengers. All the life jackets should be inspected, and in particular look for any holes or tears that might interfere with their effectiveness. If you have children, be sure to check that your life jackets still fit them. Kids grow so fast that jackets that fit them last season may very well be way too small for them this year. Also remember, you need a life jacket for each passenger on your boat. Don’t forget to check any other safety equipment such as fire extinguishers, making sure each one is full, and in good working condition. Lastly, don’t forget to make sure your first-aid kit is fully stocked, that you have backup means of communicating with shore in the event of an emergency, and that you have a working bilge pump and anchor on board. So now that you know your boat is all ready to go, make sure to check your trailer too. How you get your boat to the water is just as important as making sure it works. If your trailer isn’t going anywhere, neither is your boat. A malfunctioning trailer can spell disaster for even the most veteran and most prepared angler. Better take care of it. You can’t haul fish into your boat until you know how to trailer your boat. 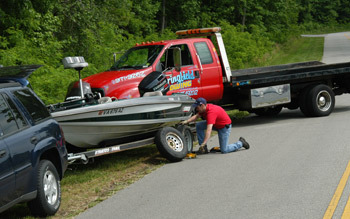 Whether you’re a beginner or have hundreds of miles under your belt, don’t start the season without first checking the trailer you are using to transport the boat, as well as the tires, breaks and lights to make sure everything is safe and in working condition to ensure you are able to safely transport your boat to the lake. I’m willing to bet the farm that if the average angler paid half the attention to his boat trailer that he pays to his boat and tow vehicle, there would be a great deal fewer annoyed anglers on the planet! Trailering laws vary somewhat from state to state and are often based on weight and beam. Before you head out on the open road, make sure your boat trailer adheres to all the state regulations. At a minimum, all trailers need to have working taillights and brake lights, and most states require registration of the trailer with the Department of Motor Vehicles. Find out what the laws are in your state for boating and trailering your boat. So there… now you know, with just a little prep-work out of the way, you are now ready to hit the water! And you will rest easy knowing that whatever unforeseen situation that comes up, (and it will! ), you are prepared to handle it so you’ll be able to get out on the water and have fun! When you and your old friend kick off this boating season without any maintenance hiccups, you’ll be glad you took the extra time to make sure it is seaworthy. Too often boaters get their rig into the water and find themselves dead in the water after being out for just a few minutes. Don’t be one of them! Ensure you’ll enjoy another season of carefree boating and make your annual boat preparation more manageable with our handy Spring Start-up Checklist. And since boat repair and maintenance is not exactly an innate skill for most people, contact a reputable Minnesota boat repair company that has experience.